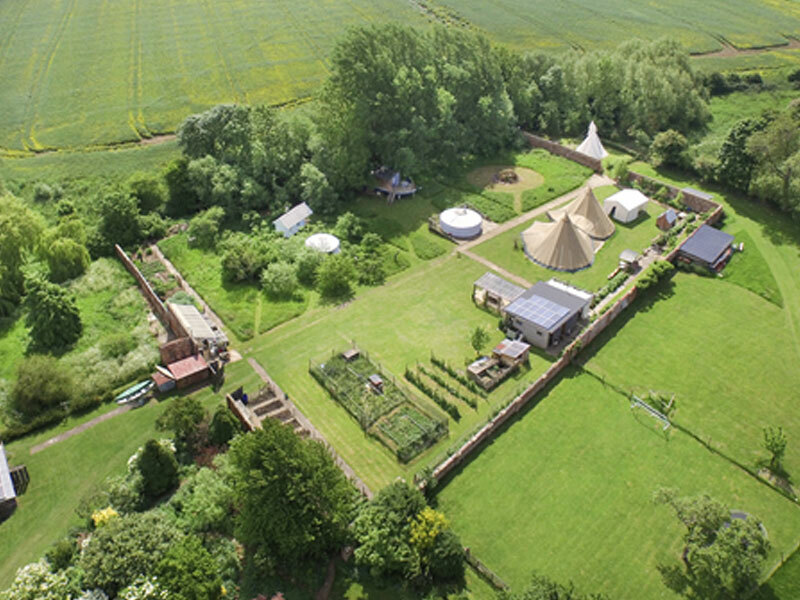 If you're looking for glamping sites in Newbold-on-Stour you'll find a wide range of stunning locations listed here on our website. Talton Lodge sleeps up to 30 and hosts up to 120. It includes a tree-boathouse, orchard wagon, 2 yurts, 1 North American tipi, cedar pavilion kitchen & 3 bathrooms plus linked giant tipi marquees heated by wood-burner.